SAN DIEGO (KGTV) — Beautiful sunsets may be considered a common occurrence in San Diego but that doesn't make them any less special. While pretty much any spot in San Diego can be considered "the best place to see sunsets," there are some areas that capture the scene better. And yes, many of them are at the beach. It's in the name. 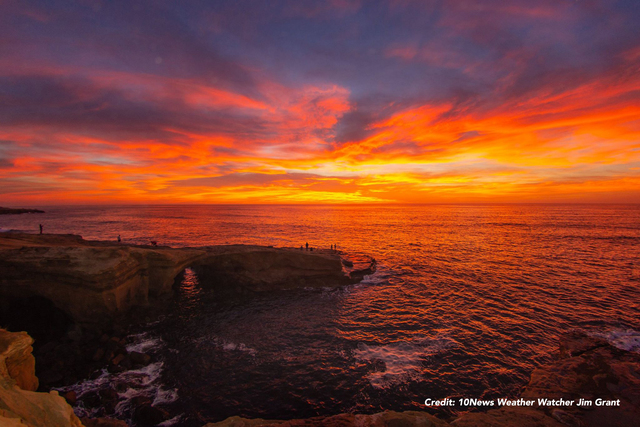 Sunset Cliffs gives photographers and anyone peering out to sea nearly 180-degrees of sky meeting water to gaze at. And during a sunset, that can create some amazing viewings as colors are reflected off the waves. As San Diego's crown jewel, Balboa Park lends itself to beautiful scenes museums and landscaping with the city in the background. Drop in a sunset and those scenes seem to transform once your eyes hit the horizon. The Lake Cuyamaca area brings San Diego's routinely dry, East County landscape together with the calmness of the lake. Sunsets are reflected beautifully off the lake, while the dry brush and mountains on the horizon can split through, creating some stunning imagery. 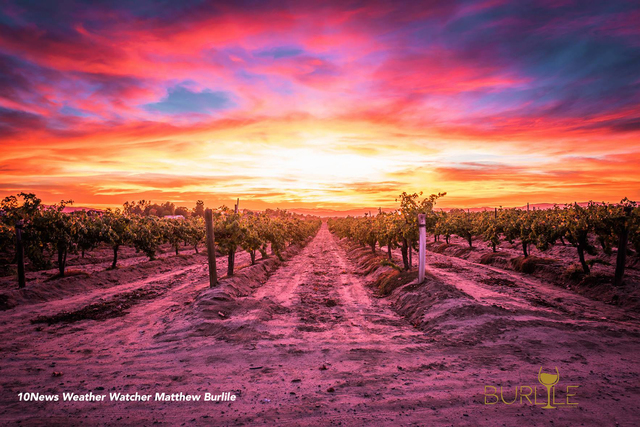 Up north, San Diego County's wine region creates a mesmerizing foreground to sunsets. Between the vines curling up and over one another, rays of sunlight break through. There nothing quite like a shot of the sun peering over masts and sails from boats bundled together in a harbor. Though there may not be a lot of reflection of the water, there's plenty to stand in awe and observe.